It was the last full day for us in Costa Rica and we were making sure to go out with a bang. 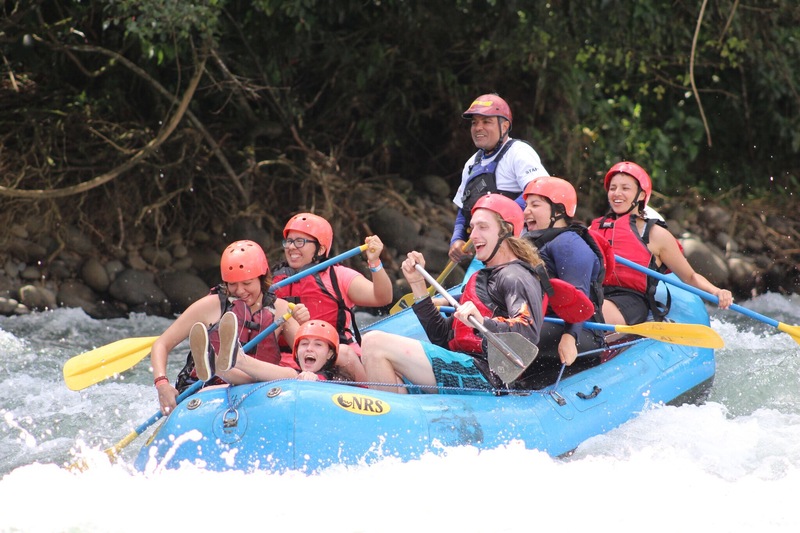 We started our day off bright and early, traveling outside of La Fortuna to a roaring river where we were planning to go white river water rafting. Once we arrived, we were welcomed by our guides and a variety of inflatable rafts and equipment. After we all strapped into our battle gear, we split into our groups and prepared ourselves for the adventure ahead. Once we were certain of the proper rowing techniques, we sat in our boats and began pedaling downstream. The experience was exhilarating, as we paddled our way through roaring rapids and huge river rocks. We were drenched from head to toe from the splashes of the waves and could hardly keep from laughing from excitement. Halfway through our trip, we stopped and walked back to shore where we enjoyed a delicious snack of freshly cut mangos, bananas, and watermelon from our guides. Once we were newly refreshed, we climbed back into our boats and our trip downstream. 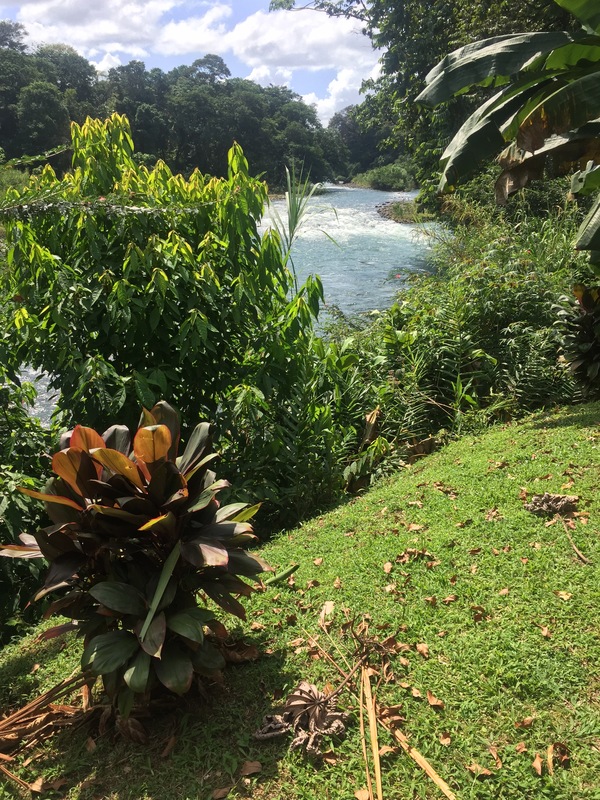 After the rafting was completed, we dried ourselves off and sat down for another delicious Costa Rican meal near the river. Our day’s adventures were still not complete though. 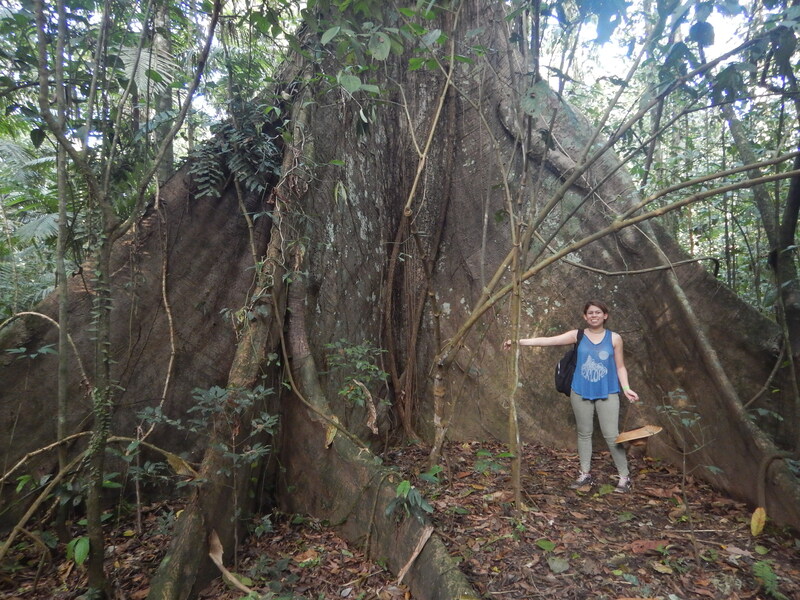 We finished our meal by the river and hopped back onto the bus and headed to La Selva Biological Reserve. After unloading our baggage, we prepared for another hike. There were many trails around the reserve and we were fortunate enough to be given a tour of one of them by the tour guides. 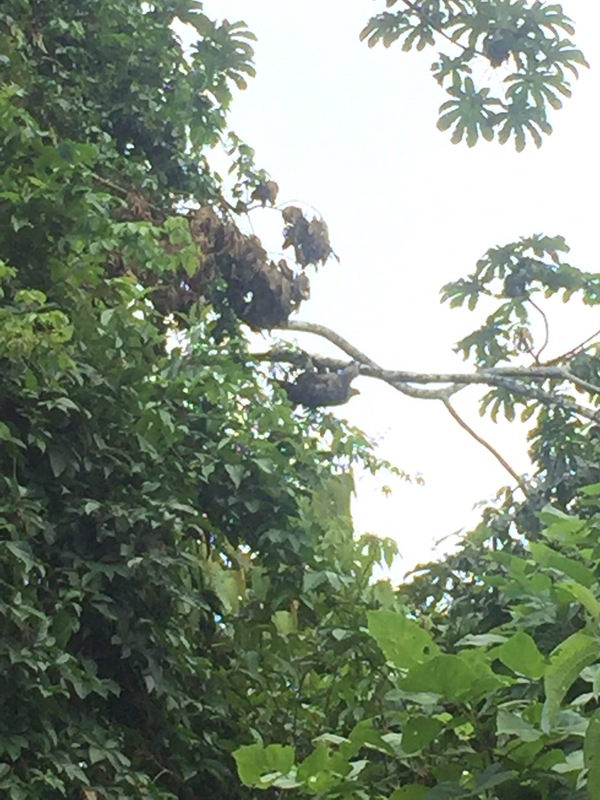 On the trail, besides seeing the facilities of the reserve, we also saw a mother sloth with her baby, upside down hanging bats, brightly colored birds such as toucans, and a family of spider monkeys grooming each other in the highest tree. The hike was short and we soon returned to our rooms and were able to settle into our new beds for the night. 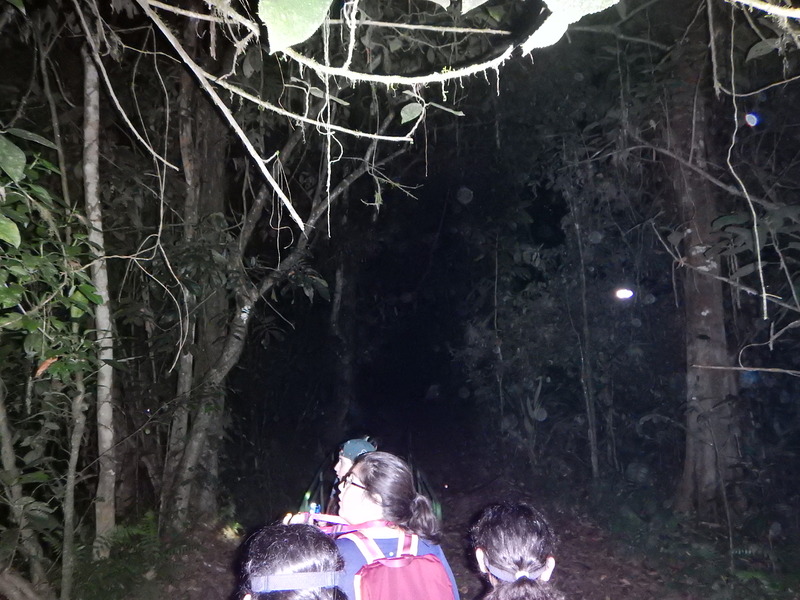 After dinner, some of the students agreed to go on a night hike adventure. 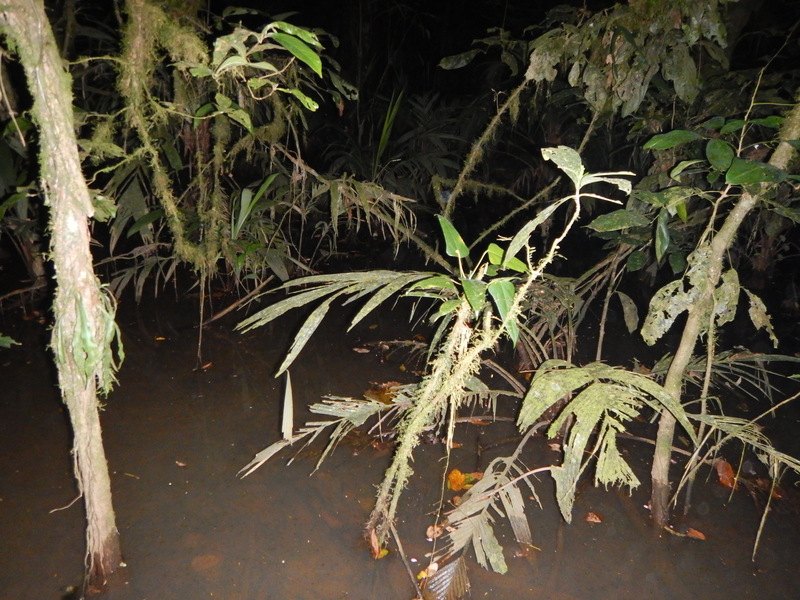 We took our flashlights and headlamps, ready and excited to enter the dark jungle and reveal more of its secrets. With darkness all around us, the sounds of the various insects, frogs, birds, and mammals seemed to echo even louder underneath the sky of a million stars. 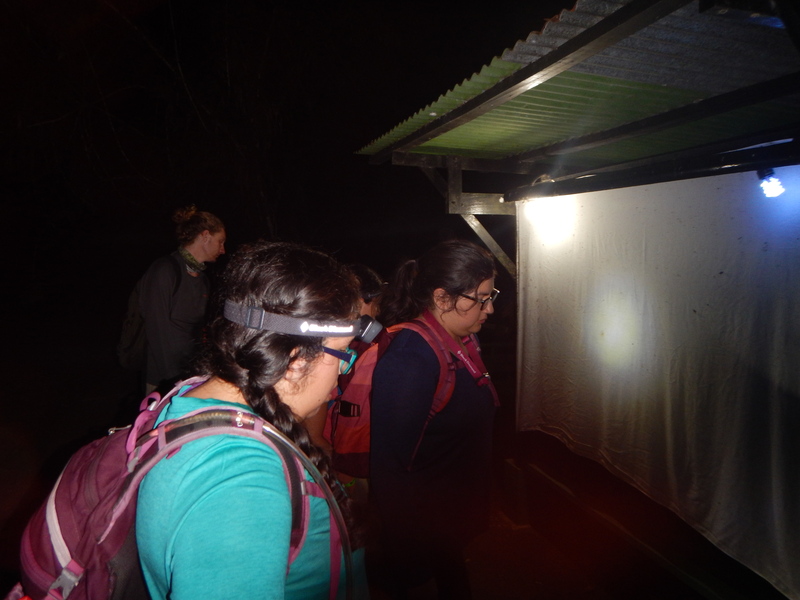 On the hike, we were able to see frogs of all sizes, including the infamous red eyed tree frog, small bats crammed into tiny places, creepy crawlies of all sorts, and the venomous eyelash viper. Once our last adventure was done, we returned to our rooms and all prepared for the next and last of our mornings in Costa Rica.